Multi-use Trail System | the City of Liberty Official Website! Liberty's multi-use trail system covers more than 17 miles of trails through parks and greenways across the city. Trails range from less than 1/4 mile to 2 1/4 miles. Many of the trails connect with neighborhood sidewalks and can offer walkers, bikers, and runners miles of opportunities for recreation and fitness. Rollerblading is welcome on all asphalt trails, although Cates Creek and the north trail at Westboro-Canterbury offer the best surfaces. 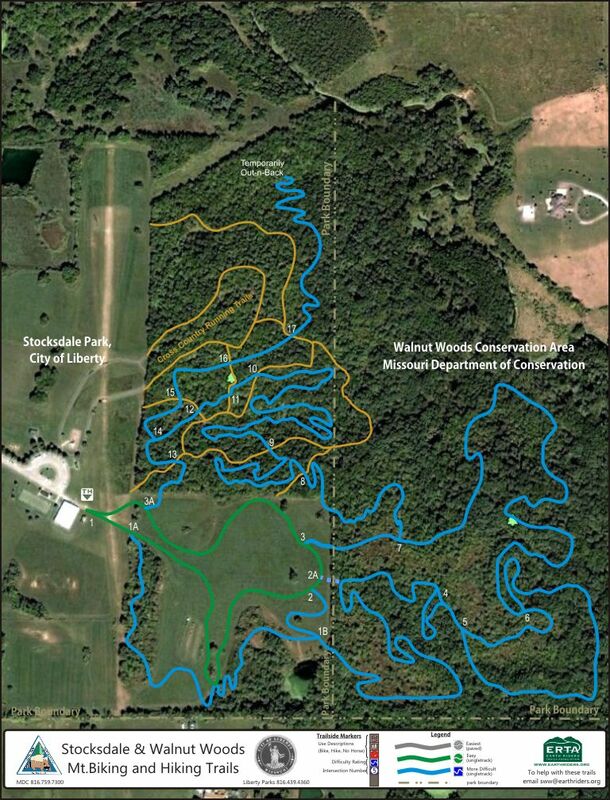 Mountain bike enthusiasts will find one of the region's most extensive single-track trail systems at Stocksdale Park and adjacent Walnut Woods Conservation Area. The vision of the Trails and Greenways Plan (PDF) is to create a citywide interconnected network of trails that will expand recreational opportunities while also serving as an alternative transportation network.